Acupuncture has been a major part of primary healthcare in China for the last 5,000 years. The general theory of acupuncture is based on the premise that there are patterns of energy flow (Qi) through the body that are essential for health. Disruptions of this flow are believed to be responsible for disease. In a person who is healthy, the Qi flows through all the channels smoothly and the Yin and Yang are in a state of dynamic equilibrium. (Yin / Yang is the two halves found in everything that together complete wholeness.) This means that even though there are temporary fluctuations in the Yin and the Yang, the net energy is in balance. In a person who is sick, the energy flows are obstructed and unbalanced causing either an excess or a deficiency of Yin, or an excess or a deficiency of Yang. Acupuncture achieves its curative effect by clearing the obstruction in the flow of Qi and balancing the energy flow. Once the flow of energy is restored to normal, the person becomes and remains healthy. Acupuncture helps to correct imbalances of flow at identifiable points close to the skin. Even though acupuncture is used for a variety of medical purposes, the main focus is on prevention. It is the qi and the blood that regulates a person’s spiritual, emotional, mental, and physical balance. Disease occurs when the flow of qi is disrupted and unbalances occur. Stimulation of specific acupuncture points located near or on the surface of the skin stimulates various sensory receptors that, in turn, stimulate nerves that transmit impulses to the brain. The brain is then responsible for releasing neurotransmitters and endorphins, the body’s natural pain-killing hormones to achieve the desired effect. The substances released as a result of acupuncture not only relax the whole body; they regulate serotonin in the brain, which plays a role in the human constitution. This is why depression is often treated with cupuncture. Some of the physiological effects observed throughout the body include increased circulation, decreased inflammation, relief from pain, relief of muscle spasms and increased T-cell count responsible for stimulating the immune system. Ancient Chinese believed that moderation in all areas of life is essential in order to live a long and fruitful life. We agree! The goal of our acupuncturist is to restore your health and help your body maintain harmony and balance so you can live to a ripe old age. Acupuncture is more than just needles! In order to return your body to balance and optimal health, our Acupuncture Physician may use herbal and nutritional therapy, qi gong/tai chi restorative physical exercises, meditation, a Chinese form of massage called tui na, cupping, gua sha, acupressure, and acupuncture. Cupping is a simple method of pulling “stuck,” stagnant, and congealed blood and fluids out of the injured area. Plastic or glass cups are placed on the skin and then applied using suction. They may remain static or be slid along muscles to achieve therapeutic results. Cups may be kept on an area for three to fifteen minutes, according to the judgment of the acupuncturist. Cupping releases tight, painful muscles and increases blood circulation. Cupping can relieve the pain of tight and sore muscles. This is done by pulling the muscle fibers into the cup. This loosens the muscles and relieves pain. It also pulls the stuck blood within the muscle onto the surface of the skin. This occurs when an injury ruptures small blood vessels within the muscle fibers, causing blood to collect in the muscle and “glue” the already tight muscle fibers together. Cupping is able to pull the congealed blood out of the muscle and onto the surface of the skin. Cupping can also pull blood and body fluids up to the surface of the skin, removing it from stuck areas like swollen knee joints or frozen shoulders. As a result, cupping will often produce a red or purple circle upon the skin that may take a few days to heal. These circles are only dark colored if the area that is cupped has “stuck” body fluids and blood. You should expect some circular discoloration or bruising if you are cupped. Keep in mind, this is only occurring because stuck fluids and blood congeal and act like glue, keeping joints stiff and swollen and gluing muscle fibers. These circular discolorations and bruising occur in the process of drawing these stuck fluids and blood out of injured areas – they are part of the healing process. If you are concerned with bruising or discoloration, cupping may not be the right therapy for you. Since cupping marks take a few days to heal, please consider if you are going to the beach or to an event where you will be revealing the cupped area. If you are pregnant, have a circulation disorder, hemophilia, lupus, or diabetes, cupping may not be appropriate for you. Although cupping does release tight muscles and increase blood circulation and move congealed body fluids, bruising and bleeding may sometimes occur. Do Not Fear the Needle! We’ve already established acupuncture stimulates anatomical points on the body with needles. Many people are surprised to learn that acupuncture needles are extremely thin. They are not like hypodermic (injection) needles, which are big and hollow. 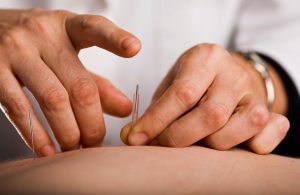 An acupuncture physician uses thin, disposable, stainless steel needles. Acupuncture needles do not hurt like hypodermic needles because the needles are very thin. How thin are they? Acupuncture needles are super thin and about the size of a human hair. The slender needle produces little to no sensation. The expertise of the acupuncturist is put to test in deciding exactly which acupuncture points need to be stimulated or sedated to achieve a particular effect in each patient. The efficacy of acupuncture treatment depends on the selection of the correct acupuncture points for each patient and the accuracy with which the needles are placed. This is particularly important because each patient requires individualized treatment depending on the cause of the problem. Treatment and approach differs from patient to patient even though their symptoms may be the same. It is possible for a particular set of symptoms to be created by different mechanisms in different individuals. The skill of the acupuncturist lies in identifying the true cause of an illness and the appropriate acupuncture points to be used for its treatment. That is why an in depth initial consultation is so important! With over a thousand acupuncture points to choose from, a good acupuncturist is able to assess each patient and decide which acupuncture points will be effective in curing the disease in the shortest possible time. The efficacy of treatment with acupuncture is thus directly proportional to the skill and expertise of the practitioner. Our acupuncture physician will put together a plan tailored specifically for you. At Sacred Moments Massage & Healing Center, we believe health is about the whole person. We do not just treat a disease or a few symptoms but we treat the whole person – mind, body, and spirit, inside and out. We work with your primary care physician and all other health care providers so that you benefit and obtain an overall improvement to your quality of life. It is not unusual to experience more energy, less stress, and sleep better after acupuncture. And, after several sessions, some patients may realize they have other health issues that they were ignoring, become accustomed to, or just thought was normal. Our primary treatment method is acupuncture but we also incorporate herbal medicine, heat therapy, soft tissue work, as well as nutrition and lifestyle counseling, all of which fall under the heading of Traditional Chinese Medicine (TCM). These various methods can combine to create a very powerful change in a patient’s health. We also believe that education is an important part of health care. We help patients understand their bodies better and make better choices in regards to their lifestyle. At Sacred Moments Massage & Healing Center, we believe there is no medical system that has all of the answers. Instead we think that each has its strengths and weaknesses and when those strengths overlap they can be used together to achieve better results than one alone. Therefore we are more than willing to work along with your other healthcare providers to help you achieve your health goals. You will begin with an initial consult. Initial visits generally last from 60 to 90 minutes. 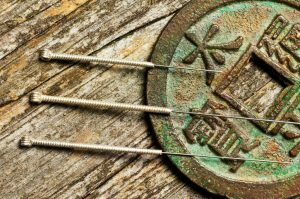 Our acupuncturist will take a detailed health history, perform a physical exam, and provide you with your unique treatment plan. Your goals for treatment will be discussed and will be reviewed along with your progress at subsequent visits. During your first exam, our acupuncturist will spend time getting to know you and your health concerns. Please feel free to ask any questions at any point during your treatment. The needles may be retained anywhere from 15 to 40 minutes depending on the condition. This is a great time to relax and your acupuncturist will be checking on you and repositioning needles for maximum benefit and comfort. In the beginning, you may have to visit more often, and then, as your symptoms improve, you can begin spacing the visits further and further apart. There are usually no side effects from acupuncture, however it is important to note that energy is being redirected in your body and chemicals and hormones are being stimulated. Occasionally the original symptom may worsen for a few days or other general changes may occur in the body or an emotional state may be triggered. This should not be cause for alarm because it is an indication that the acupuncture therapy is starting to work and it is common to happen especially within the first two treatment sessions; however, if you are concerned or would like to discuss it, we encourage you to call our office right away. Your room is private and depending on the treatment plan created by your acupuncturist you may be seated comfortably in a chair or laying on a table. Try to wear comfortable clothing to your therapy session. Please let your acupuncturist know if you are too warm or too cold. We want you to be comfortable at all times! Even after your symptoms are resolved, acupuncture can assist you in maintaining your health, and possibly prevent future imbalances. The more you incorporate acupuncture and Traditional Chinese Medicine (TCM) into your life, the more you’ll learn to nurture your body, mind and spirit. Acupuncture is a method of encouraging the body to promote natural healing and to improve functioning. This is done by inserting needles and stimulating the specific points. Traditional acupuncture is a healing art and science which teaches us how to see the entire human being in body-minded spirit, how to recognize the process of health and illness and how to go about the restoration of lost health in an individual. Cosmetic acupuncture stimulates facial muscles and decreases wrinkles, promotes blood circulation, restores collagen and improves facial complexion and vitality. » Join one of our community acupuncture classes. Learn more.